A new exhibition at the Kelowna Art Gallery by Kelowna-based artist Jane Everett explores the intersection of the natural and man-made worlds through a gorgeous body of work. 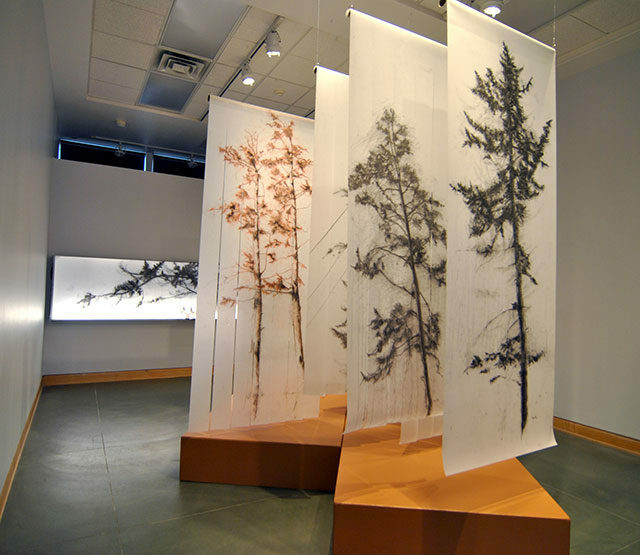 Entitled Understory, this immersive installation evokes the experience of standing amongst the forests of the British Columbian interior. 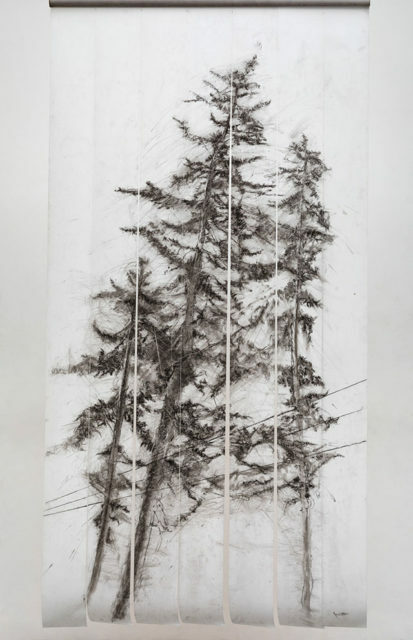 Large-scale charcoal drawings of Lodgepole Pine, Ponderosa, Cedar, and Birch trees are rendered on drafting film, sliced into strips, and suspended, looming above the viewer. Light and sound surround and animate the space. Piano notes, bird song, and the sound of distant traffic further layer the tension between art and nature. The drawings are detailed and complex, influenced as much by Japanese sumi-e ink painting as by the tenets of traditional drafting. Acrylic medium is used as a fixative, which also adds to the texture and movement to the drawings. The result is an invented form to articulate the language of trees. Visitors will have the chance to stand amongst the work and draw their own interpretations during the show’s run. 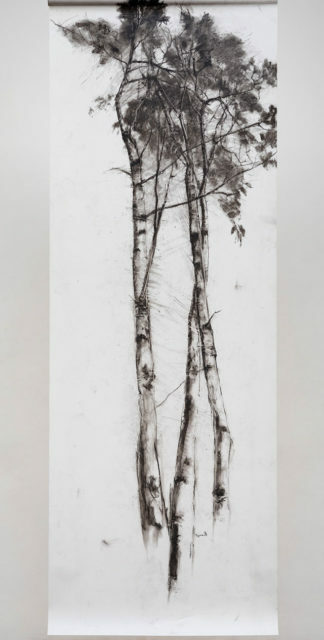 Understory is on view from March 9 to June 16, 2019. Originally from Winnipeg, Jane Everett has lived in Kelowna since 1991. She completed her Fine Arts degree at Queen’s University in Kingston, Ontario. Regardless of subject, her practice centers around the study of light as it elucidates or obscures form. Her work has been exhibited across the country and is held in both private and public collections. An Artist Talk with Jane Everett will be held on Thursday, April 4, 2019, from 6 to 7 pm. It is free and open to the public to attend. A Drawing Workshop lead by the artist has been scheduled for Thursday, May 9, from 6 to 9 pm. 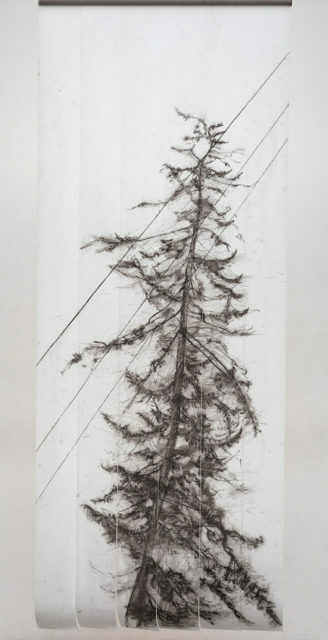 Participants will explore the various techniques and materials that Everett has used to produce the work in her exhibition Understory. This workshop is open to all levels, no experience necessary. The cost is $40. The Kelowna Art Gallery is located at 1315 Water Street in downtown Kelowna. For more information about current exhibitions, public programming or special events, please visit the Kelowna Art Gallery online at www.kelownaartgallery.com or call 250-762-2226.